Flaunt your beautiful curves with this wrap dress from Gipsy. 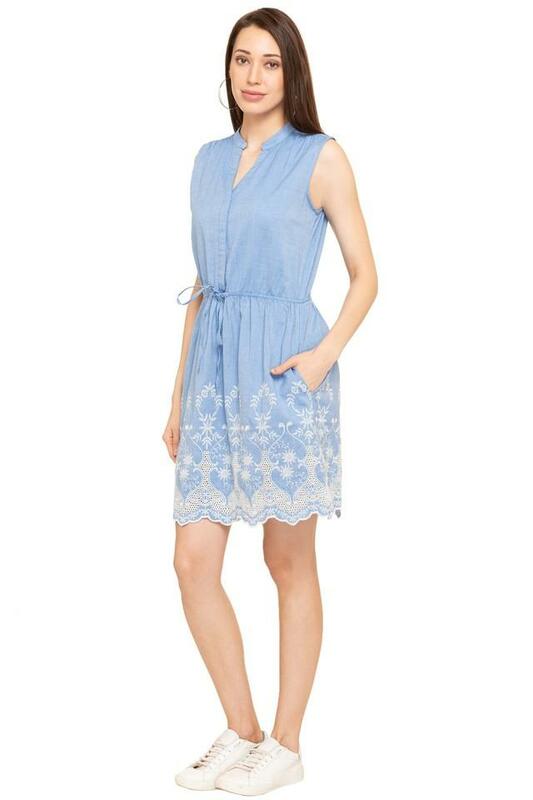 Fashioned using good quality fabric, this sleeveless dress will not fail to catch your fancy at a single glance. Featuring a mandarin neck and embroidered pattern, this dress boasts of dapper fascination. 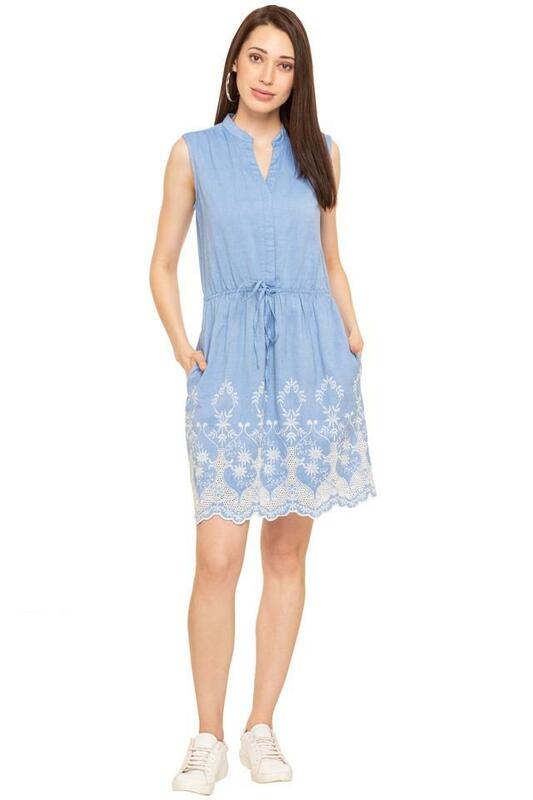 For women who prioritize comfort, this wrap dress is a must-buy. 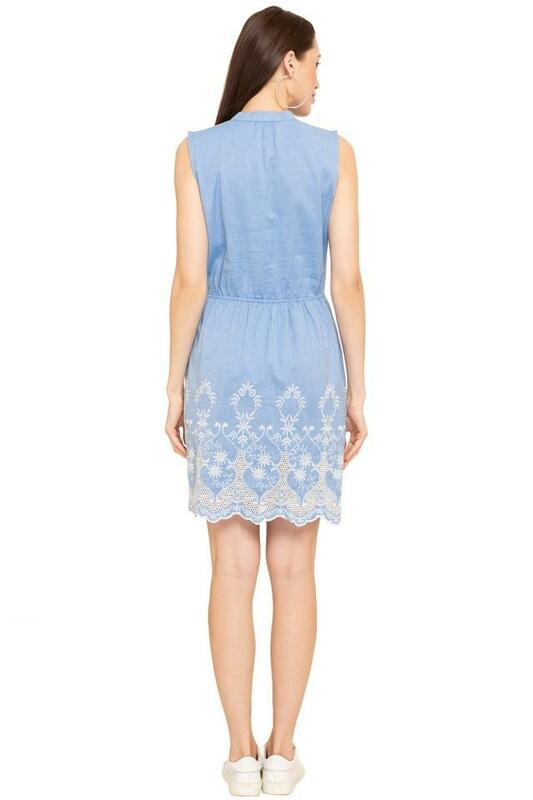 Team this dress with a pair of ballerinas for a chic look..